Combine plants, architecture models and recycled materials to make your own green planet, or kokedama world. This is a free family event designed for adults and children to enjoy together, so we ask that all children are accompanied by an adult. You’re welcome to drop in at any time and stay for as long as you like. 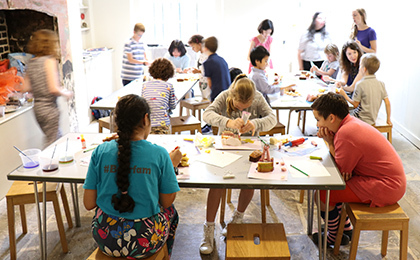 We host a free family workshop every second Saturday at the Soane; you can look out for future activities on our family events page.